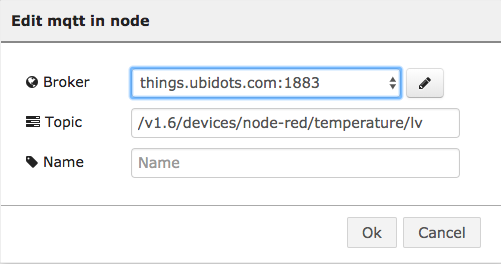 In this article we'll use both Ubidots MQTT nodes and Node-RED's native HTTP and MQTT libraries ("nodes") to read/send data to/from Ubidots. 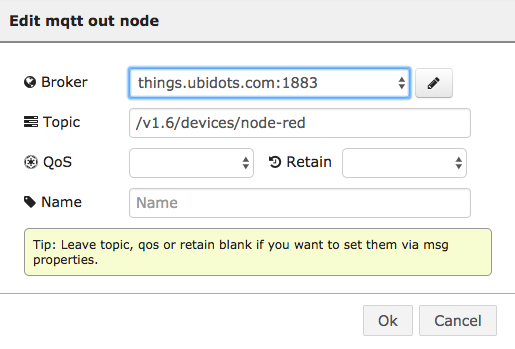 Finally, close and re-open Node-RED, you should now see Ubidots' MQTT nodes in the input and output nodes waiting for you in the left-hand Node pane. 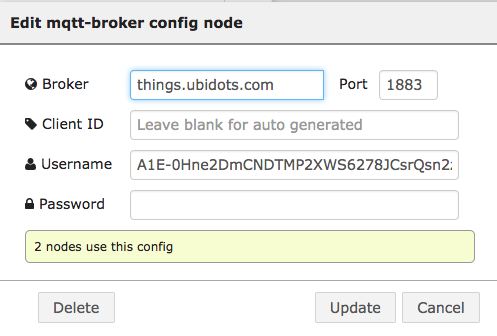 NOTE: If you do not know where to find your Ubidots TOKEN - please click here. 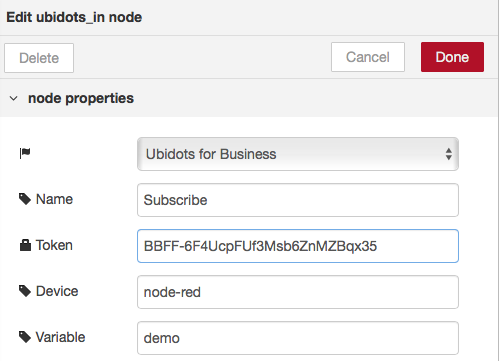 Why use native libraries instead of Ubidots' library? Grasp the concepts behind IoT protocols: Working with native HTTP and MQTT libraries will help you understand the concepts behind these protocols, enriching your IoT expertise. Using a library that wraps these protocols might save you lines of code, but will hide important concepts that might be useful for troubleshooting and scaling your project. Connecting from any Node-RED device/server: Some Node-RED environments make it hard to install 3rd party libraries. For example, if you're running Node-RED from a server and you're not the admin and cannot install libraries. Using already built-in libraries can save you time, headache, and development costs. In the examples below we'll use an "Inject node" to simulate data, but of course in real-world applications, you need only replace this node with its actual source of data. Here's the clipboard version, so you can import it into your project - just copy and paste, if needed. Note that "lv" stands for last value. This means, this topic only returns the last value of the variable, without the JSON formatting, making it easier to parse if needed. 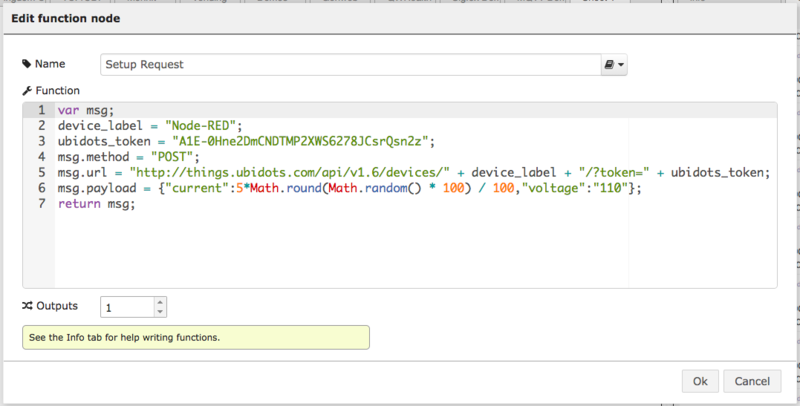 NOTE: you will need to configure the MQTT broker even after pasting the clipboard version above. Still have questions? Want to suggest a new Node-RED capable device to our growing compatible device family? Feel free to drop us a line at support at ubidots.com.